There’s nothing like the tradition of enjoying cake and other warm, baked goods during the Christmas season. That’s why OZO Colombo has started its Christmas preparations in the month of August! 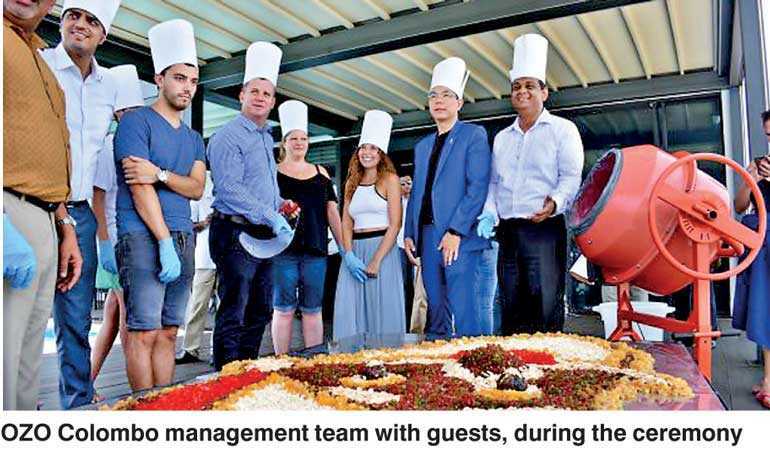 The cake-mixing truly brought the feeling of the holiday spirit to the property, as the team from ON14 along with a few patrons from the hotel gathered on this occasion to partake in the ceremony. The cake-mixing ceremony, part of an age-old Christmas tradition, originated from Anglo-Saxon culture and has been around for ages.A delicious mix of black raisins, hand-picked during the early part of the year, are cleaned, washed and dried, and blended together with honey, candied lemon peel, dried fruits and nuts, candied ginger flakes, lemon zest and caramelised orange, then accented with a hint of vanilla and nutmeg to give it a smooth flavour and plush texture. OZO Colombo has put together the finest ingredients in the most hygienic conditions at its rooftop lounge ON14.